Hardcover, 11 x 9.5 in. / 140 pgs / 75 color. Essays by Susan Davidson, David Anfam and Margaret Hoben Ellis. While legendary artist Jackson Pollock has been comprehensively investigated in recent shows, a focused exhibition examining his drawings has not been organized since 1980. No Limits, Just Edges: Jackson Pollock Paintings on Paper features a compelling group of 75 artworks drawn from the holdings of institutions and private collections worldwide. Curated by Susan Davidson, this long-awaited exhibition to be held at the Deutsche Guggenheim, Berlin, Guggenheim Bilbao and the Peggy Guggenheim Collection in Venice considers the artist's works on paper as an essential component in his signature transformation of the traditional figurative line into a non-figurative graphic expression. This catalogue of the exhibiton begins chronologically with Pollock's early sketchbook studies based on old master paintings by Michelangelo and El Greco, as well as those influenced by his contemporaries, mainly the Mexican muralists Jose Clemente Orozco and David Alfaro Siqueiros. These early works reveal a figurative treatment that Pollock ultimately rejected as he moved at first toward pieces that mirrored his advancements in painting, and eventually, by late 1947, to abstract compositions. Throughout his career, Pollock experimented with different media on paper, alternating the same themes on watercolor and lithography, and later adding gouache to engravings to provide interesting variations. In the last years of his life, Pollock's fascination with different types of paper led him to special handmade sheets that allowed the paint to permeate below the main layer, thus achieving fortuitous variations of his well-known poured painting technique. 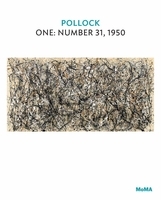 This fully illustrated catalogue, which shows the full range of Pollock's works on paper, includes a reassessment of his skills as a draftsman by David Anfam, a noted scholar of Abstract Expressionism. 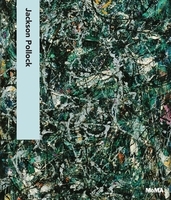 Susan Davidson contributes a text that focuses on Pollock's stylistic development and the reception of his works on paper during his lifetime. A technical analysis of Pollock's working method is provided by Margaret Hoben Ellis. FORMAT: Hardcover, 11 x 9.5 in. / 140 pgs / 75 color.